When the disc between your vertebrae in the spine is partly protruding, which might or might not be pressing onto the corresponding nerves depending on the extent of protrusion, it is referred to as slipped disc or disc herniation. It can cause neck pain or back pain (depending on the location of the herniation), with or without referring pain to arms or legs respectively. 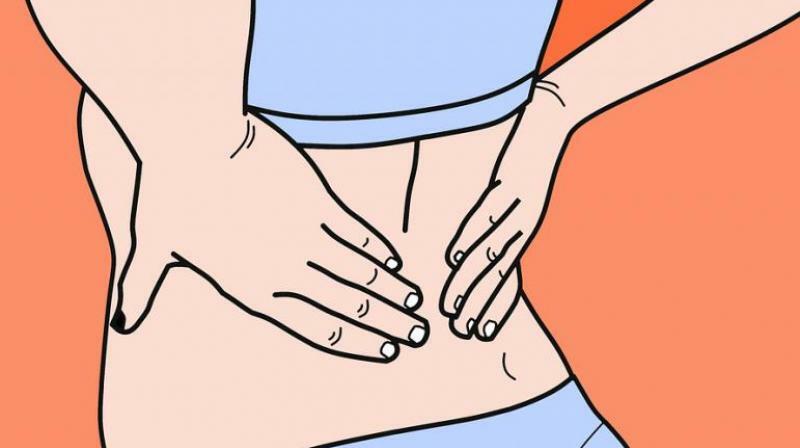 According to researches, nearly 80% of the population suffer from low back pain once during their lifetime. And amongst the vast number of causes for low back pain, the most common cause is disc herniation. Disc herniation can either be due to mechanical dysfunction, bad posture and lack of exercise or can have genetic predisposition. Nowadays, people are so busy with their work they do not realise that they are ruining their posture which eventually will lead to muscle imbalances and hence aches and pains in different joints of the body, most common being neck and back. Maintaining good posture irrespective of the activity being done. Avoid sitting in a slouched position. You must use a chair with back rest and keep your back straight and supported. Avoid sitting on sofa or recliners while working with a laptop for long. Do not keep the neck bent for very long while reading or working on laptop. Your computer screen should be at the eye level so that you don't have to bend the neck. Also, avoid sustaining one position for long, change your position for a few minutes after every 30-40 minutes. Doing regular exercises to strengthen core and spine muscles. CHIN TUCKS - While sitting, shoulders retracted back, just pull your chin back. You can perform 12 - 15 repetitions, 3 sets. ROWING - Take a theraband and put the centre of the band around any hook or handle in front of you approximately around shoulder level. Sit upright and hold the ends of the band in each of your hands. Now pull the band towards you and let your elbow go behind your body. Perform 15 repetition 3 sets. SPINAL BRACING / TABLE TOP POSITION - Lie on your back with both the knees bent to 90-90 position. You can keep your hands under the curve of your back. Now you need to press your back down onto your hands and maintain this position for 10-20 seconds. Do not hold your breath. Keep breathing normally. Perform 3-5 repetitions of the same. PRONE LEG EXTENSION - Lie down on your stomach and rest your arms on the side. Now, you need to lift alternate legs up to around 20-30 degrees without bending your knees and without turning your spine. Perform 12-15 repetitions, 3 sets. SPINAL EXTENSION - While lying on your stomach and keeping hands on the side, lift your head and shoulder up towards the ceiling. Do not lift your legs up. You can perform 12 repetitions 2 sets for the same. Exercise at least 3-4 times a week, focussing on strengthening your core and spine muscles.